The GPRSbee needs a LiPo 3.7 volt battery to be connected to one of the two JST connectors. The other JST connector can be used to power the main board with the supplied jumper cable. 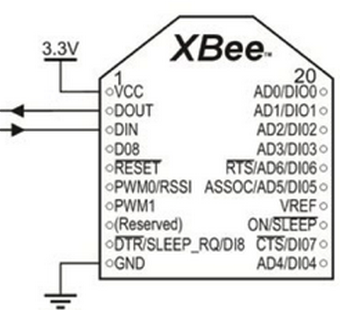 The GPRSbee uses DTR pin (pin 9) for software ON/OFF. Switching on or is simply a matter of setting DTR high. The CTS pin (pin 12) is used for power status. If the CTS pin is high the GPRSbee is on, if it is low it’s off. The RI line (Ring Indicator) is wired to bee socket pin 20 (AD0/DIO0) This allows you to make your application respond to incoming calls or SMS messages. 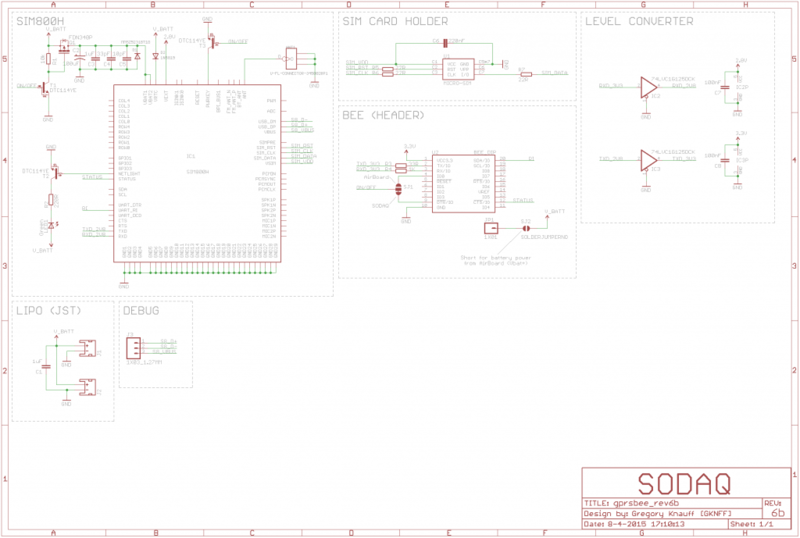 The I/O lines of the SIM800 module are not 3.3 Volt tolerant. UART communication has to operate at 2.8V level. The GPRSbee has a level converter on board.